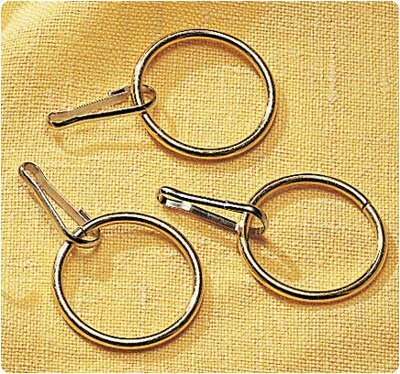 (SEE AVAILABILITY ABOVE FOR ESTIMATED DELIVERY) - Ring Zipper Pull - Ring Zipper Pull - This 1" ring with a snap hook can be attached to a regular tab, making zipping/unzipping easier. Three per package. Latex free. - Rolyan products are internationally licensed & manufactured for home & clinical use. Most of their products offer a lifetime warranty.